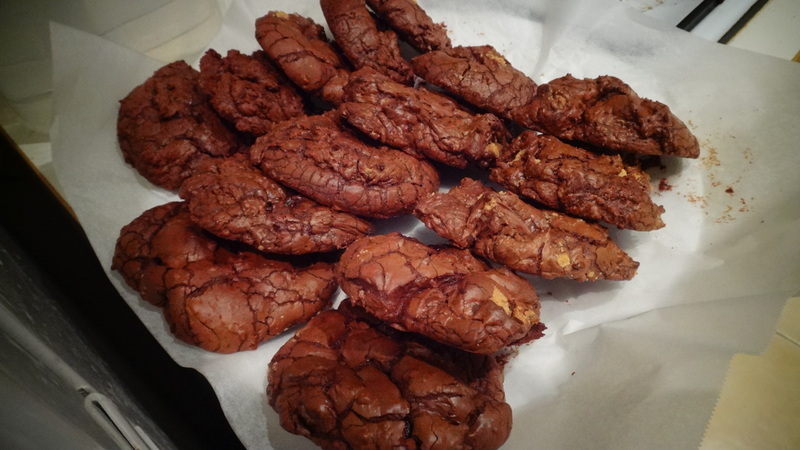 Line a glass or light coloured metal 9×13-inch pan with a sheet of baking paper. 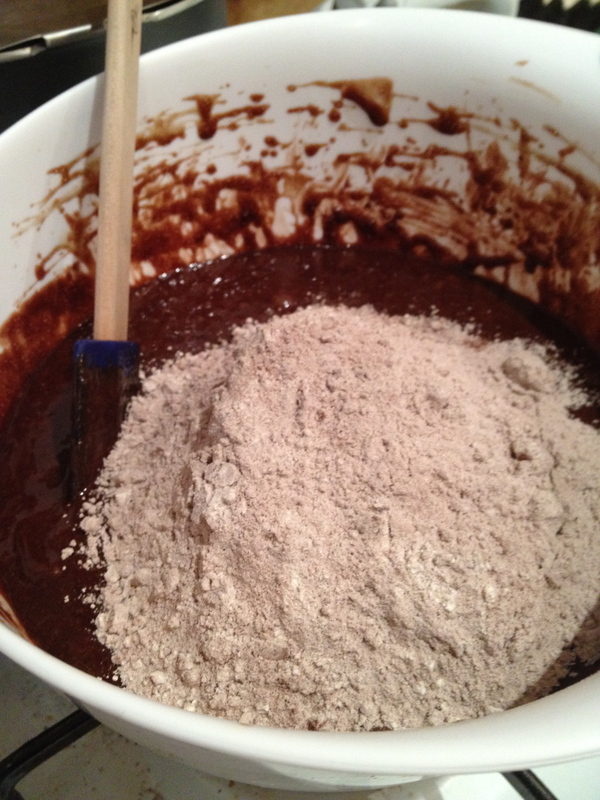 In a medium bowl, whisk together the flour, salt and cocoa powder. Place the chocolate and butter in the bowl of a double boiler set over a pan of simmering water, and stir occasionally until the chocolate and butter are completely melted and combined. Turn off the heat, but keep the bowl over the water of the double boiler, and add both sugars. Whisk until completely combined and remove the bowl from the pan. The mixture should be at room temperature. 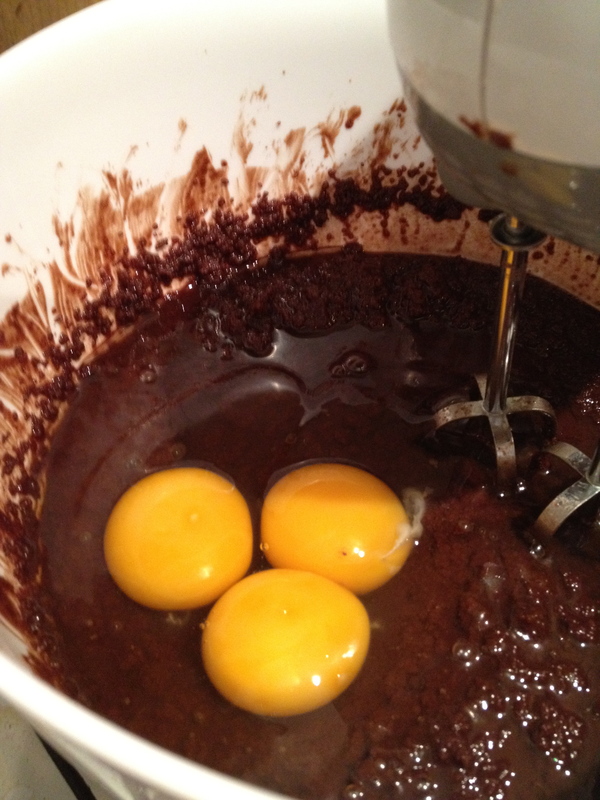 Add three eggs to the chocolate mixture and whisk until just combined. Add the remaining eggs and whisk until just combined. Add the vanilla and stir until combined. Tip: do not over-beat the batter at this stage, or your brownies will be cakey. 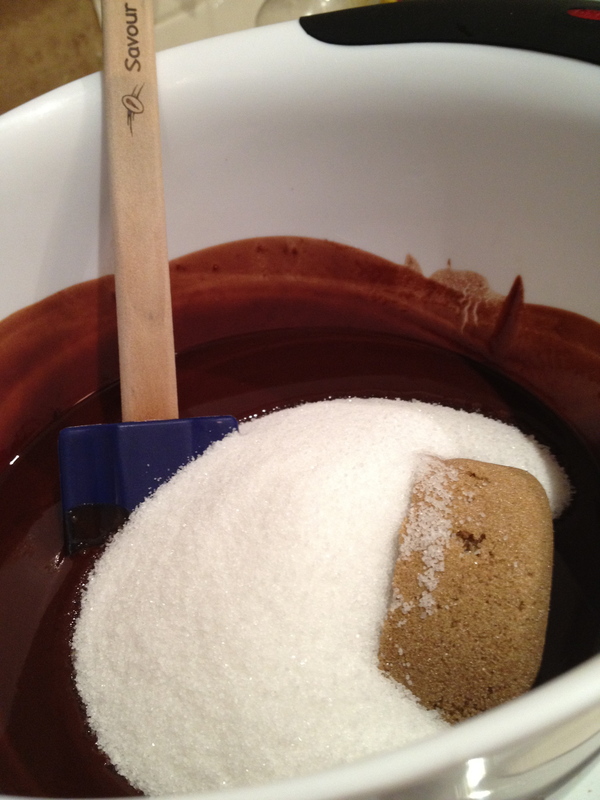 Sprinkle the flour mixture over the chocolate. Using a spatula, fold the dry ingredients into the wet ingredients until there is just a trace amount of the flour mixture still visible. Brownie Assembly: Pour half of the brownie mixture into the pan and smooth the top with a spatula. 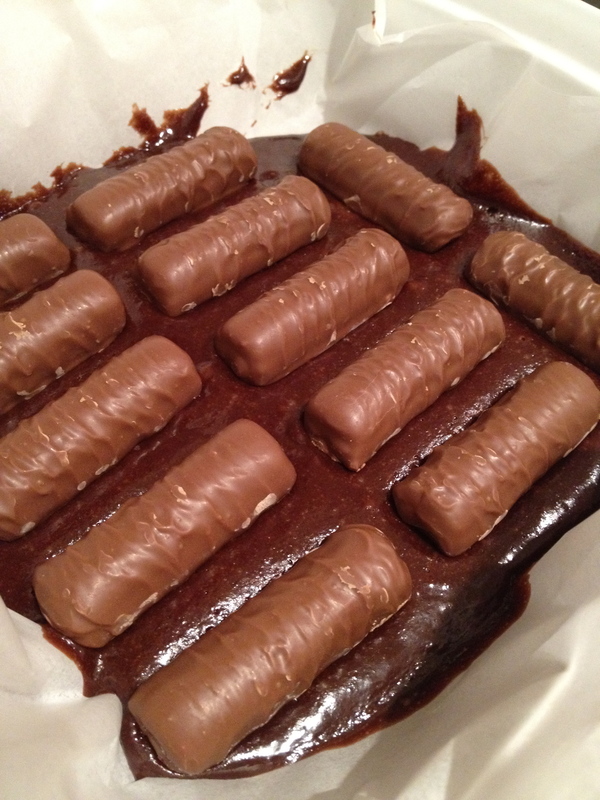 Lay the Twix bars over the brownie batter, leaving a small gap of space around each bar (approx. a quarter inch). 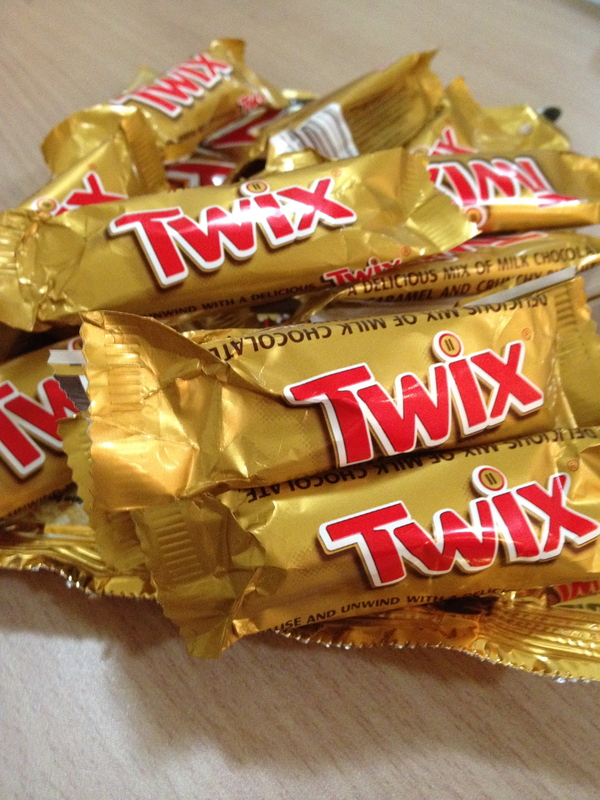 Pour remaining brownie batter over the Twix bars and carefully spread it even, taking care to not shift the Twix bars around. Bake the brownies for 35 minutes, rotating the pan halfway through the baking time, and check to make sure the brownies are completely done by sticking a toothpick into the center of the pan. The brownies are done when the toothpick comes out with a few moist crumbs. Remove the brownies from the oven and cool completely before cutting. Combine flour, baking powder and salt in small bowl; whisk to blend. Stir bittersweet chocolate and butter on top of double boiler set over simmering water until melted and smooth. 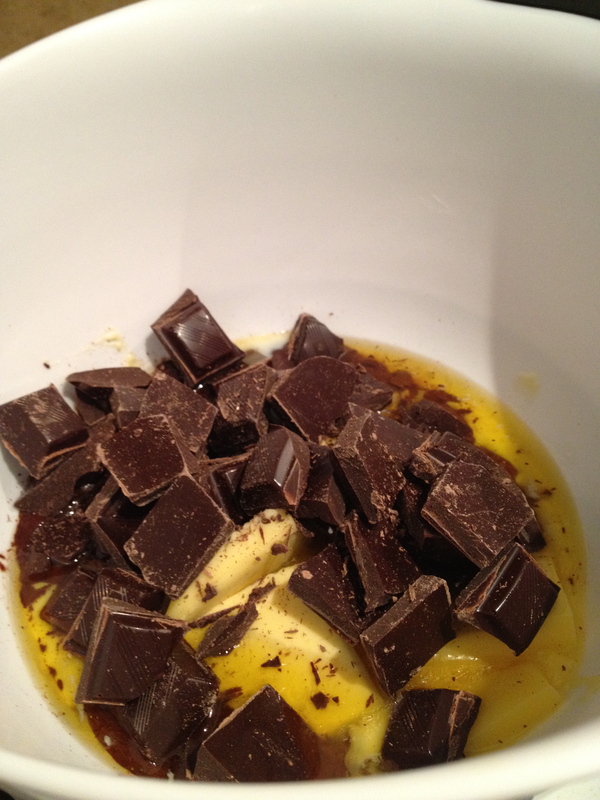 Using electric mixer, beat sugar and eggs in bowl until thick, about 5 minutes. Beat in chocolate mixture and vanilla. 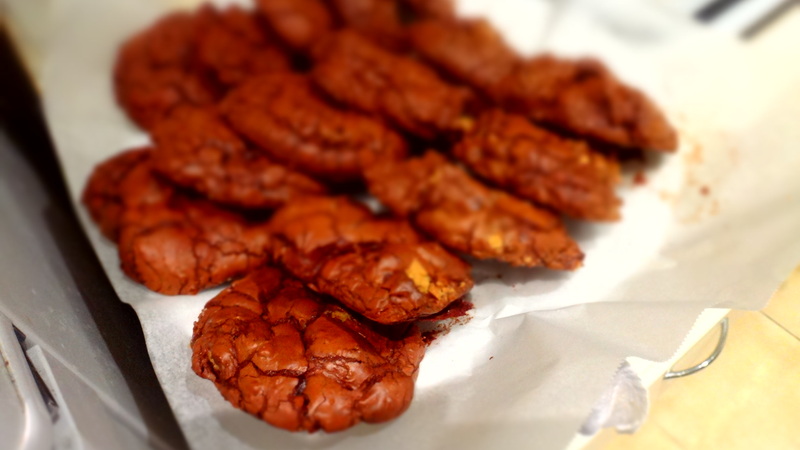 Stir in flour mixture until incorporated, then add twix PB. Chill batter until firm, about 45 minutes to 1 hour. Line baking tray with baking paper. Drop batter by large 1/4 cupfuls onto sheets, spacing 2 1/2 inches apart. 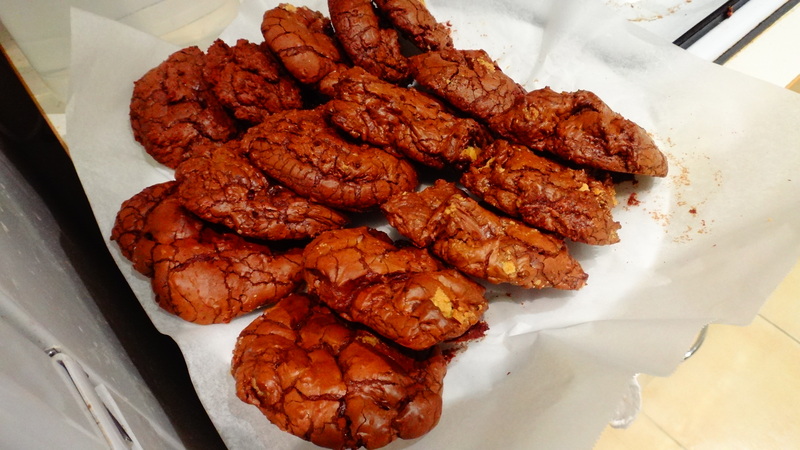 Bake just until tops are dry and cracked but cookies are still soft to touch, about 15 minutes.